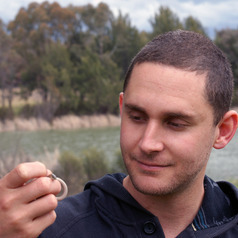 For over seven years I have worked as a wildlife ecologist as both a researcher and a professional. Over this time I completed a degree with First Class Honours in Science and I am about to complete my PhD on the interactions between kangaroos and fauna, including reptiles and birds, in grassland and grassy woodlands. These qualifications are complemented by work history with Governmental agencies in both NSW and ACT and non-government agencies such as Bush Heritage and the Australian National University. The vast majority of my work career has been within the ACT Conservation Research unit. Over the last seven years as a casual employee within this section I have been important in the implementation of a kangaroo monitoring program using pellet counts, the creation of a ACT vegetation map, and the establishment of a research monitoring program looking at the effects of kangaroo grazing on reptiles and grass. Outside my paid employment I have also volunteered widely and enjoy working in remote areas, and exploring new areas.